Keep bats from reentering your attic with the BestNest Bat Exclusion Tube. This unique tool acts as a one way valve, allowing bats to exit their roosting spot in your home, while preventing them from entering again. 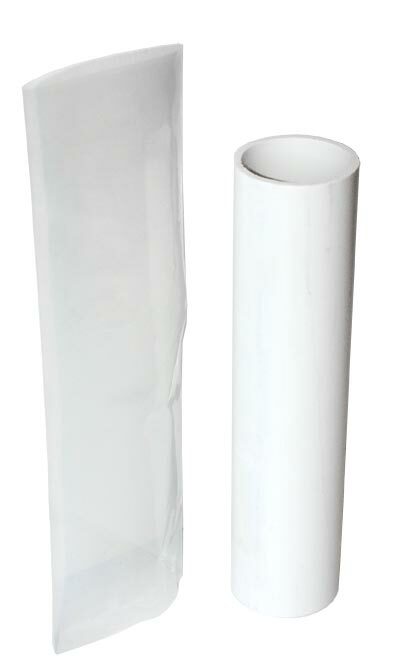 The 10" long, smooth PVC tube is completed by a 12" long, clear plastic sleeve, which creates an easy exit point for bats. This plastic sleeve collapses on itself when bats try to fly back into the area, creating a safe and humane excluder. Use caulking, adhesive foam, or another method to secure the tube to your wall, soffit, or other crevice from which you have seen bats entering and exiting. Once you are sure all bats have vacated the area, remove the tube and be sure to permanently close any holes or other openings. This may even require replacing or repairing old siding or wood. Stop bats from reentering and roosting in your home in a safe and lasting way with this Bat Exclusion Tube. Some assembly required.